What Does 1 Timothy 1:4 Mean? When Paul bid Timothy farewell and departed to Macedonia, he urged his beloved 'child-in-the-faith', to remain in Ephesus. He charged him to correct the various false teachings and strange doctrines, that were springing up and infiltrating the Church, because of their detrimental effect on the spiritual growth of believers. 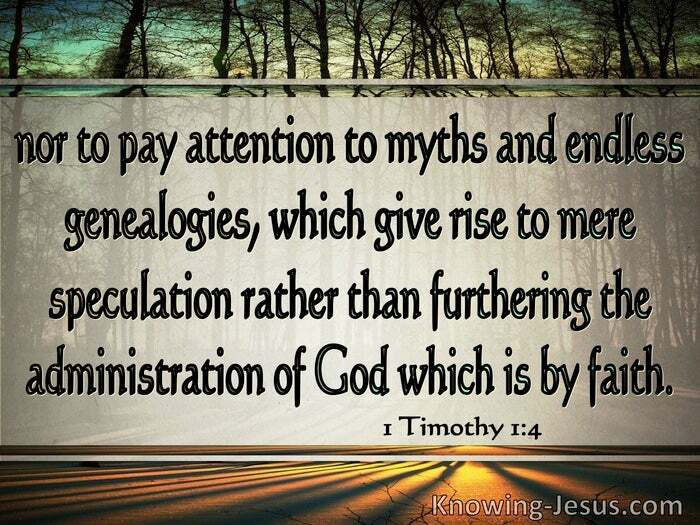 This letter to Timothy was written to reinforce the instructions he had received earlier, and this verse specifically mentions Paul's concern about 'myths' and 'genealogies'. 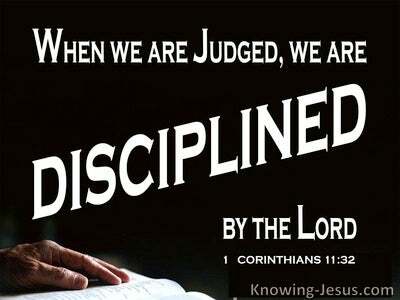 "Instruct certain men not to teach strange doctrines", he charged Timothy. 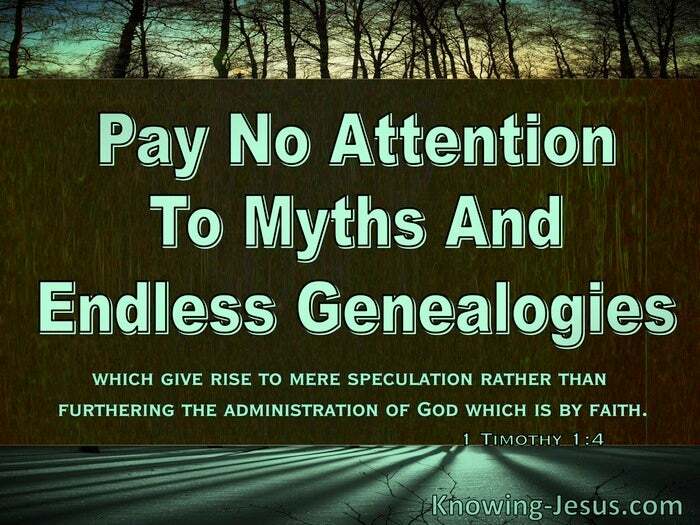 "Do not pay attention to myths and endless genealogies, which give rise to mere speculation rather than furthering the administration of God which is by faith". 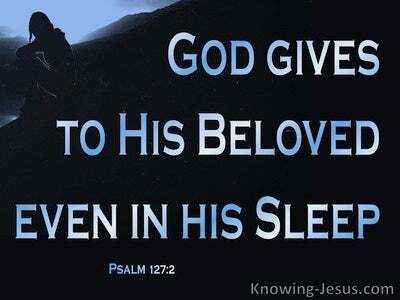 Paul does not give us any clue as to what specific myths he was referring, but any fabricated fable, superstitions speculation or imagination of the heart is very detrimental to a Christian's spiritual growth; contradictory to biblical truth and an obstacle to the one's hope in the Lord. Every culture and each generation has its own particular brand of magical folk-lore or frightening tales of the unexpected, which are satanically inspired, and give rise to anxious thoughts and fearful hearts. All are counter to the freedom we have in Christ and inevitably chokes one's faith and enslaves one's soul. A second serious problem Paul identified in this verse were 'endless genealogies'. While myths and folk-law are generally connected to pagan societies, genealogies play an important role in biblical teaching and are linked to Israel. However, the Pharisaical traditions of the Jews had become so ingrained in their culture, their eyes had become so blinded and their ears so deaf, that their ancestral line and Jewish pedigree had been elevated above biblical truth. 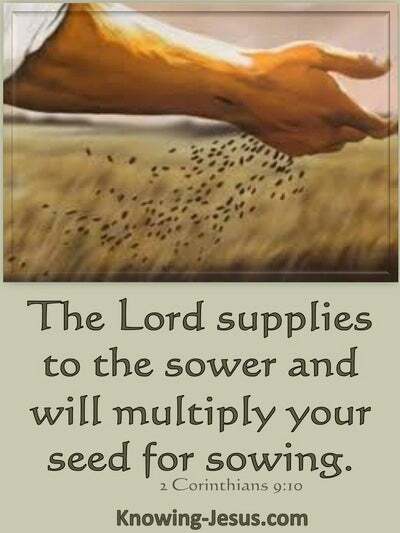 The religious traditions of men had superseded the Word of God. All forms of false teaching, whether fanciful myths; endless genealogies; cultish practices; false religions; Gnostic doctrine or legalistic customs are antithetical to God's word of truth because they give rise to ungodly speculations and unbiblical philosophies. They are false teachings which cause untold damage in the spiritual development of believers while hindering the dissemination of the gospel of God - which is by FAITH. The dangers of which Paul warned Timothy are equally concerning in our time and our culture. May we take to heart this teaching on the dangers of all forms of apostasy; give heed all his instructions on godly living; look to Scripture as our plumb-line for truth and translate it into our daily practice - for His name's sake.